An eBook is a downloadable file (in PDF format) that is readable and printable on any computer. If you were to buy MAX Workouts today, you would be able to download immediately after your purchase and start the program right away. No waiting and no shipping charges. 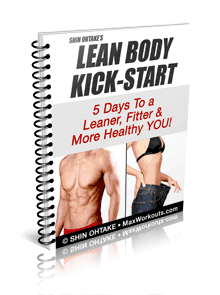 Each workout has been formatted to fit on no more than 1-2 pages for easy printing as you move through the program. You can download your eBooks to your computer, iPad, an/or smartphone. The only requirement is if you are using a tablet (like an iPad) or smart phone, you’ll need to install a PDF reader app (if you don’t have one already). There are several available for iPad, iPhone, and iPod in the App Store for around $2-$3. Once you download the books to your device, an internet connection is NOT required for you to read them. I chose to make MAX Workouts available as an eBook because of the overwhelming demand of clients wanting to buy the program. This was the fastest way to do that—and make it available to anyone in the world. Plus, selling MAX Workouts as eBook also saves money for both of us. I can offer you the package at a steep discount because I don’t have any printing or inventory costs. We both win and help the environment at the same time. And don’t worry…downloading is so easy even my mom can do it!